What is the Mager and Pipe Model? The Mager and Pipe model is a performance analysis flow chart in which you first identify the problem and describe it in "measurable, observable, performance-based terms," ideally as a gap between the current and desired performance. 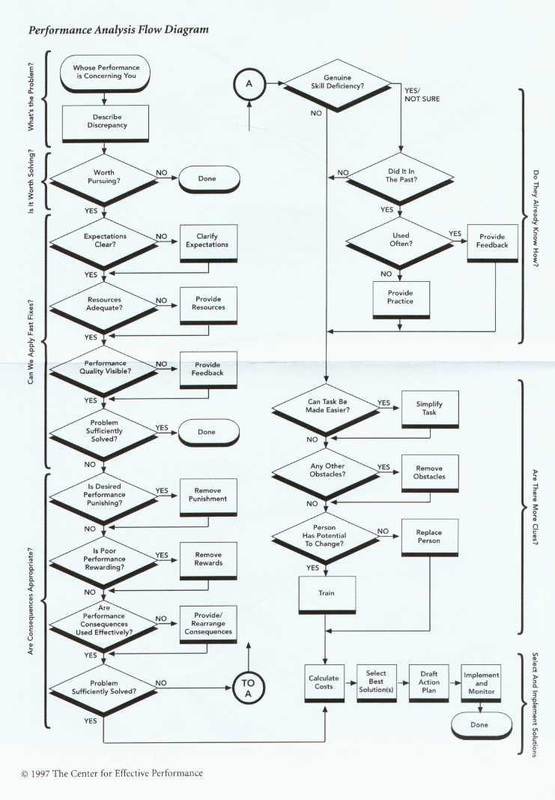 After identifying the problem, the analyst then works through the questions in the flowchart about the problem to fully understand the problem and how it can be resolved (Rothwell 2013). Many HPT professionals believe this model is a bit too simple for complex problems because a "yes" or "no" answer is often not enough to sufficiently answer the questions. Many problems have multiple causes and therefore require more complex and sometimes multiple solutions. However, the Mager and Pipe model is a great starting line for understanding a problem and developing solutions (Rothwell 2013).